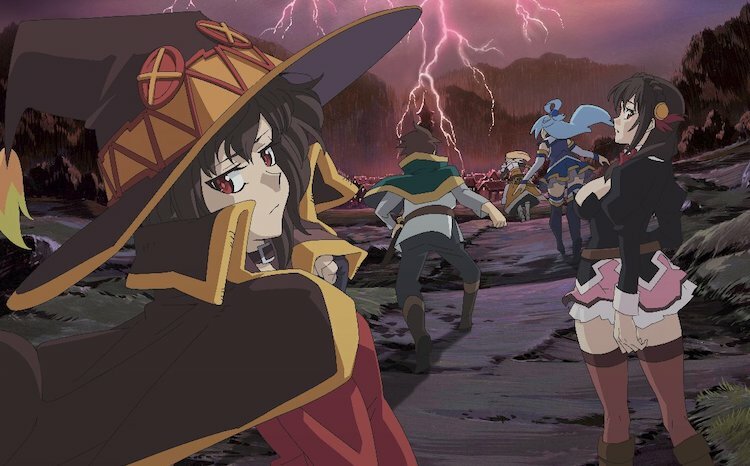 The KonoSuba: God’s Blessing on this Wonderful World franchise is gearing up to bless this world with a new feature film. Now we’ve got a fresh look at that film via a new teaser trailer. The film, subtitled Kurenai Densetsu (Crimson Legend), is due out sometime in 2019, and features the same cast and crew as both seasons of the series. That includes director Takaomi Nakasaki and writer Makoto Uezu. New studio, though: the series was animated at DEEN, but the movie switches things over to J.C. Staff.